Vision-based object detectors are of paramount interest for many applications, e.g. Advanced Driver Assistance Systems, Surveillance, Medical Imaging and Media. Most promising object detectors rely on classifiers trained with annotated samples. However, the required annotation step represents an intensive and subjective task when it has to be done by persons. Therefore, it is worth to minimize the human intervention in such a task by using automatically generated synthetic data. 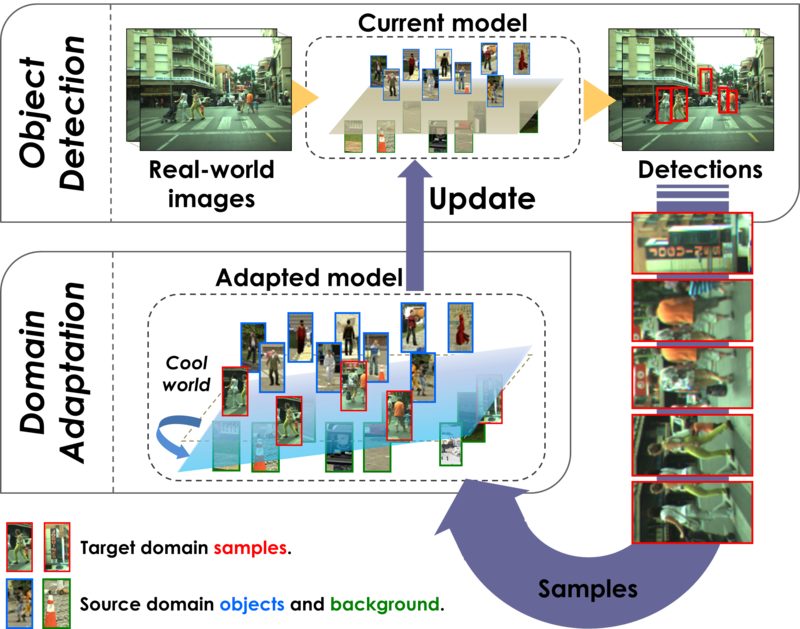 Nevertheless, the use of this kind of data comes with the following question: can an object model learnt with synthetic data work successfully for object detection in real-world scenarios?. To answer this question, it has been conducted different experiments that suggest that classifiers based on synthetic data can perform well in real-world environments. However, it was also found that in some cases these classifiers can suffer the so called dataset shift problem as real-world based classifiers does. Accordingly, it can be used domain adaptation techniques to face this problem. The state of the art results in this field points out a new methodology that would allow the systems to adapt to different situations, which may provide the foundations for future research in this unexplored area.